Organised by World Trade Center Cyprus for the fourth consecutive year, the largest exhibition of Cypriot products took place at the Trakasol Cultural Center in the Limassol Marina on the 22nd, 23rd and 24th of September 2017. 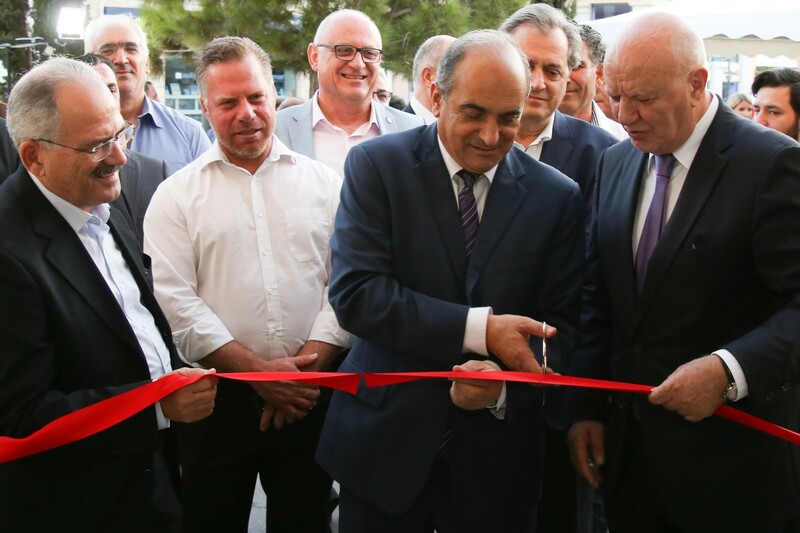 The purpose of the exhibition was to support, advertise and promote Cypriot products and services internationally. Over 9,000 visitors from all over the world attended this year’s event with a delegation from Saudi Arabia, Bahrain, Lebanon, Algiers and Australia. The exhibition was under the auspices of the Ministry of Energy, Commerce, Industry and Tourism and is supported by the Cyprus Chamber of Commerce and Industry, the Cyprus Employers and Industrialists Federation, the Cyprus Hotel Association, the Cyprus International Business Association, the Cyprus Tourism Organization, Limassol Municipality, Limassol Tourism Board, and the Association of Cyprus Travel Agents.